Your network represents the group of people who you are connected to – directly or indirectly. Your LinkedIn network, your Facebook friends, folks in your company, an online community where you are active. They are all the people who you can theoretically reach out to. It is possible that you may not know them directly (e.g. 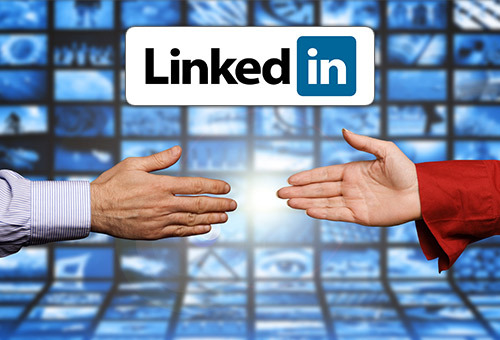 your second degree LinkedIn connections or your online community members). Your network can be huge when you consider the “friends of friends”. That is why you hear we live in a highly connected world. The Six Degrees of Separation principle models this – theoretically every person is connected to everyone else in the world in six or fewer steps. This is based on the “friends of friends” model of leveraging networks of people you know directly, and so on. The Small-World experiment did just that. This network thinking focuses on the connectivity and density of the network. Mathematically, it is a graph, with every person a node and every connection a link in the graph. Going from person A to B in the graph is a question of finding an optimal path. Relationships focus on the quality and strength of these connections. This is something that the network thinking does not model. Network is being able to find someone in your world for a specific purpose – when you need help with a research, a job search or a reference check. Relationship is a measure of the probability of that connection willing to help you out. The Small-World experiment was simplistic in that every person in the experiment would forward the message to the best possible person to get the experiment going. Real world is not a laboratory. A person you seek help for something will not “forward the message” just because he is in your network. He will do it if he has a relationship with you. A good example of this distinction between network vs relationship is LinkedIn itself. LinkedIn lets you manage your network – which is essentially sum of your direct connections and your second and third degree connections. However, it limits your network to 3 degrees of separation – you can only see or connect to a person who is at maximum 3 degrees of separation apart of you. The reason LinkedIn allows a maximum of 3 degrees of separation is because that this is the maximum distance in your network that ensures a relationship. Lets say you want to connect with Jeff, a 3rd degree connection, and he is networked to you via your 1st degree connection Jake, and Jake’s 1st degree connection Bill (You > Jake > Bill > Jeff). Note that it’s certain that the people in the middle – Jake and Bill – either know you or Jeff directly being their 1st degree connections. It’s highly likely that there exists a relationship and hence they can make an introduction or simply add ‘trust’ in the introduction. Beyond 3rd degree, people in the middle possibly do not know either you or Jeff – they may not have a relationship. They may not have any stake or interest in helping you out. They may not “forward the message”. You may be connected to Jeff but you do not have the necessary relationship to get your way to Jeff. It’s your relationships that define your ‘true’ network. This entry was posted in Knowledge Work, Productivity and tagged Networking, Relationships. Bookmark the permalink. Thanks for the comments Majd. Your writing is getting really good. Very suitable for the modern reader with less tolerance for verbosity. Sacrifices depth, but it’s better to give the reader food for thought with a short piece, with an opportunity to read up on it at his leisure, than not read it at all because it’s too long. Good work, keep it up man. Thanks Mansoor! Appreciate the feedback. The idea is the same – plant seeds and open avenues of thought! Great delivery. Solid arguments. Keeep up the good effort.